Natasha Burkett is an attorney in Dykema's Chicago office. Having extensive experience representing clients in civil litigation, Natasha focuses primarily on financial services litigation. In her practice, Natasha handles various cases related to real estate, bankruptcy and commercial litigation disputes at the trial court and appellate levels. Natasha represents mortgage servicers, commercial creditors and business clients in litigation in federal and state courts in Illinois and Indiana. Natasha has a broad litigation experience that includes financial services litigation, mortgage foreclosures, contracts, evictions, land use and zoning, administrative proceedings, property tax sale matters, bankruptcy proceedings, complex real estate litigation and appellate practice. 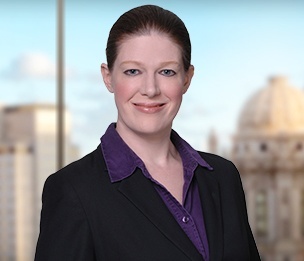 Natasha advises clients on litigation strategy and assists clients in settlement negotiations.